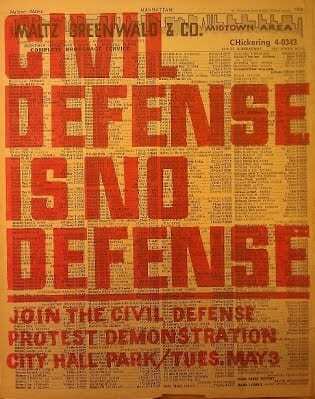 Flyer for civil defense protest printed on a page of the Manhattan phone book. Another strand of antinuclear demonstration centered on resisting the “Operation Alert” civil defense drills. 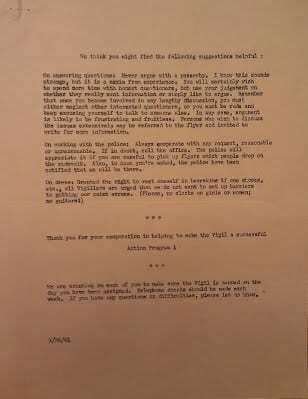 Starting on June 15, 1955, religious pacifists gathered in City Hall Park and refused to take cover every year there was a drill. The first year, 27 to 29 protesters were arrested, including Dorothy Day of the Catholic Worker organization and Rev. A.J. Muste of the War Resisters League. One thousand people came to the City Hall Park protest in 1960; 26 were arrested. The idea of these demonstrations was to call attention to the futility of taking shelter. If there were a direct nuclear attack on New York City, going indoors would not be enough to save you. These pacifists felt that the only way to survive a nuclear attack was by eliminating nuclear weapons in the first place. 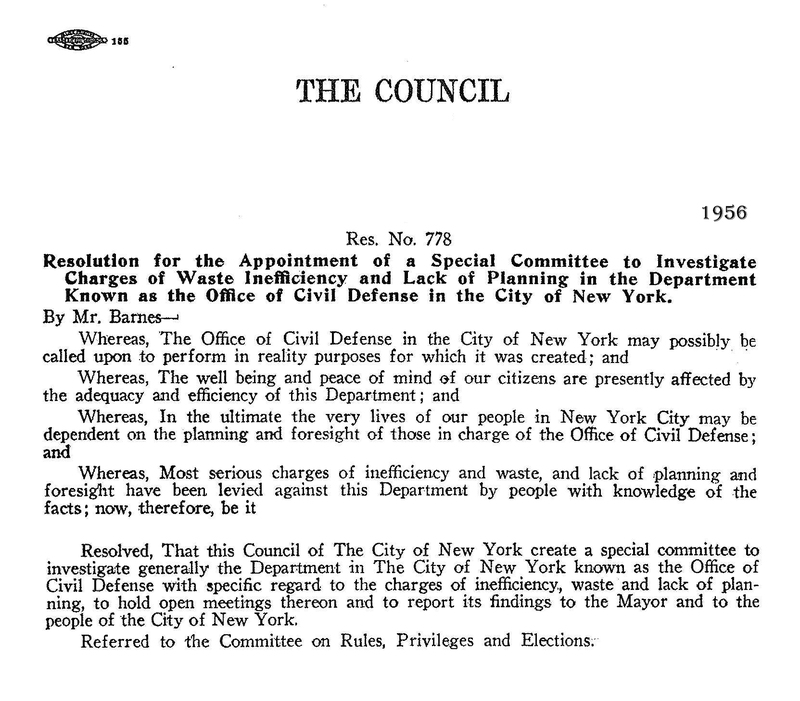 SANE sponsored civil defense protests as well, including one New York City’s Civil Defense headquarters at 55th St. and Lexington Ave. (New York Times, 1955; Wittner, 1997, pp. 11, 250). 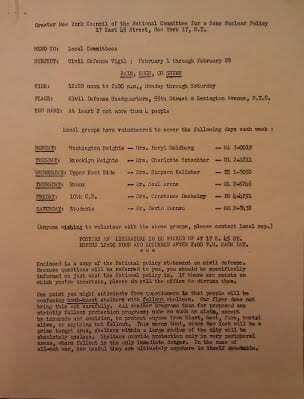 Planning document for Greater NY SANE protest at NYC Civil Defense headquarters.